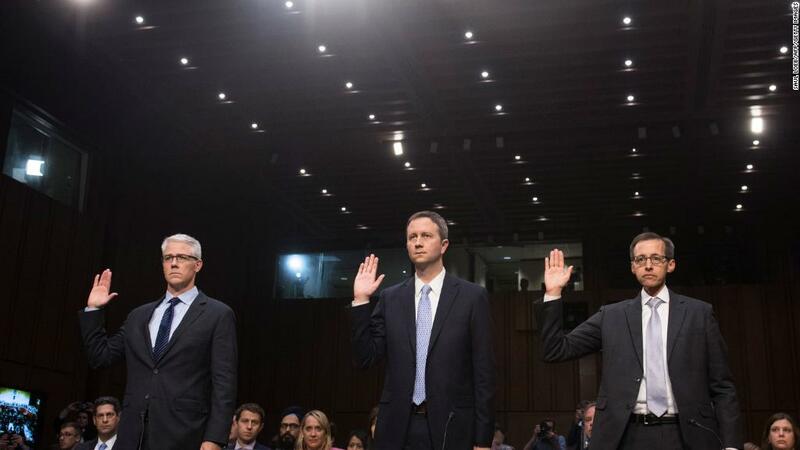 Executives from Facebook (FB), Twitter (TWTR) and Google (GOOGL) testified before Congress Tuesday in the first of three hearings this week into how foreign nationals used social media to meddle in the 2016 presidential election. "I'm trying to get us down from la la land here. The truth of the matter is you have 5 million advertisers that change every month, every minute, probably every second," Sen. John Kennedy, a Louisiana Republican, asked Colin Stretch, Facebook's general counsel. "You don't have the ability to know who every one of those advertisers is, do you?" Stretch admitted Facebook had limitations on what it could know. "To your question about seeing essentially behind the platform, to understand if there are shell corporations, of course the answer is no," he said. "We cannot see behind the activity." The heated exchange highlights the difficulties these online companies face in trying to monitor their massive audience of users and crack down on foreign election meddling and misinformation campaigns. Multiple Russian-boughts ads were displayed at the hearing, including a Facebook post from a page called Heart of Texas claiming Hillary Clinton had a 69% disapproval rate among veterans and another Facebook event called "Miners for Trump." 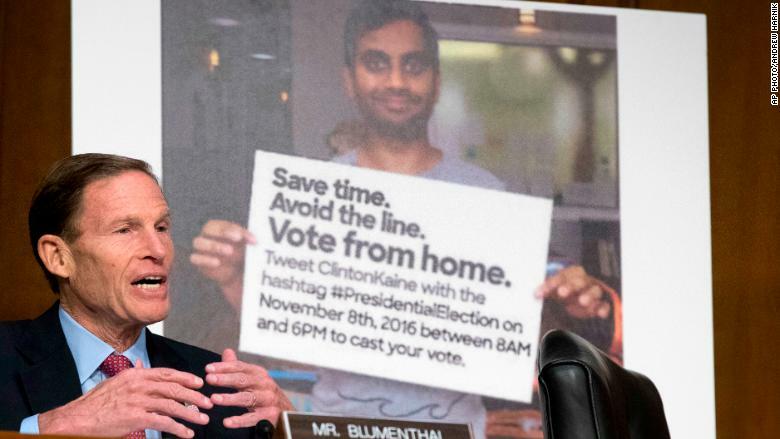 In one particularly tense moment, Senator Al Franken repeatedly pressed Stretch on how a sophisticated service like Facebook could possibly miss Russian actors buying these U.S. election ads "with rubles." "There were signals we missed," Stretch said. He stopped short of saying Facebook would commit to stop running political ads in the U.S. paid for by foreign money. In another exchange, the Twitter and Facebook officials admitted that other countries could take advantage of their platforms. When asked if either North Korea or Turkmenistan may have done so already, Stretch said Facebook was not aware of it. "The bottom line is these platforms are being used by people who wish us harm and wish to undercut our way of life," Senator Lindsey Graham said. Democratic Senator Richard Blumenthal at Tuesday's hearing.